A proud member of Sun Hung Kai Properties Limited, Wilson Group has set the standard for Hong Kong’s transport infrastructure network for more than three decades. Excelling across five dynamic divisions: Parking, Tollways, Technology, Smart Mobility and more Facilities Management, it is our long-standing vision to ensure our clients always stay ahead of the curve. We will be a world-class provider in transport-related services, and satisfy our customers with passion and professionalism. 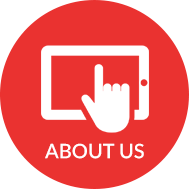 We will provide quality and innovative products and services to enhance safety, reliability and efficiency. 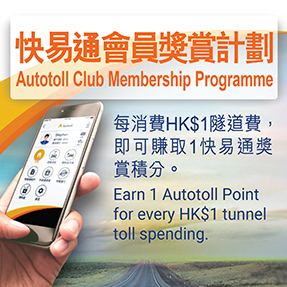 Autotoll customers can earn 1 Autotoll Point for every HK$1 tunnel toll spending by logging in VGo app to activate their Autotoll Club membership. Autotoll Points can also be earned through spending on Autotoll private car insurance and VGo electric vehicles charging service to redeem fabulous gifts. What’s more, members with JoyFuel Dollars earned from Caltex can enjoy Autotoll administration fee and tunnel toll rebates by simply linking up their JoyFuel Card with their Autotoll account on VGo app! 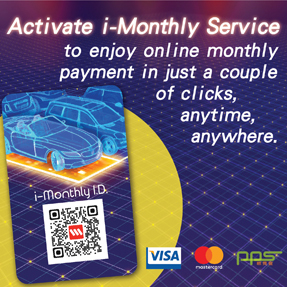 A brand new AUTOTOLL Motor Club “AMC” is offering a wide variety of services and benefits including roadside assistance, auto services by alliance merchants, gasoline discount, vehicle pre-purchase inspection, e-shopping platform, motor insurance, AMC dollar rewards and etc. AMC is committed to providing a smarter driving experience for Hong Kong motorists. Wilson Parking has launched the industry’s first online pre-book parking platform, the ” i-Monthly “ !! Parkers can now book, renew or change a monthly parking service via the Wilson Parking Website in just a couple of clicks, anytime, anywhere. Click here to experience the new service now !! Furthermore, a brand-new, all-rounded and enhanced version of Wilson Parking Mobile App will be launched very soon !! Please stay tuned !! Wilson Parking’s passion at delivering the best parking experience to parkers wins our customers recognition : Wilson Parking is honoured with the “Trusted Brand Platinum Award” in Car Park Category for 6 consecutive years by the Reader’s digest in 2018 !! 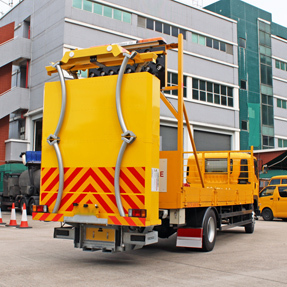 To enhance safety and service quality, Tai Lam Tunnel has purchased three new vehicles equipped with truck-mounted attenuators (TMA). The vehicles were in use in July 2018.